You can’t escape her positive energy, zest for life, and endless stream of jokes. Ashley, one of our Trusted Nurses, is full of energy in more ways than one. After hearing she spent her days off at circus training we had to learn more about this part time nurse, part time acrobat – all around super cool chick. My mother and her twin sister are both nurses. They are hospice nurses and are amazing at what they do! They told me from a young age that this was in my nature – I rebelled for many years and then finally gave in. What advice would you give someone considering nursing as a profession? Get your feet wet first. Try a position as a tech/CNA or ancillary staff of some kind. The hospital/ medical field is its own monster. Every job has its challenges, but this is different. Make sure you know you want to dedicate that much time and money before diving in. This will test everything you believe to be a part of you and push it to its limits. You also have to be able to come from a non-judgmental, empathetic perspective on an hourly basis. You are meeting and helping every type of person you can imagine, and I LIVE for that aspect of this profession. What made you decide to take the leap into travel nursing? I’m young and in debt! HAHA. I also want to wander this earth until I can wander no more! I get to take things that I’m passionate about, like science and health, and teach others about it. I have to continually think of new ways to explain things to my patients and family members according to their learning style. I love the challenge and how I get to help people. I am also INCREDIBLY organized and I get to put those management skills to use in the ICU. What gets you through your toughest days as an ICU nurse? How do you maintain a positive attitude amidst the challenges nursing can often present? Honestly, it is tough. I have to step away for just a few seconds during my day and just take a few deep breaths. Most of that time I am just staring into my intubated patients room, looking at all the drips/numbers and planning my next move. Some days you just need a therapy session afterward. I find solace in the fact that I work only three days a week and have four off! ‍What do you wish the world knew about nursing? 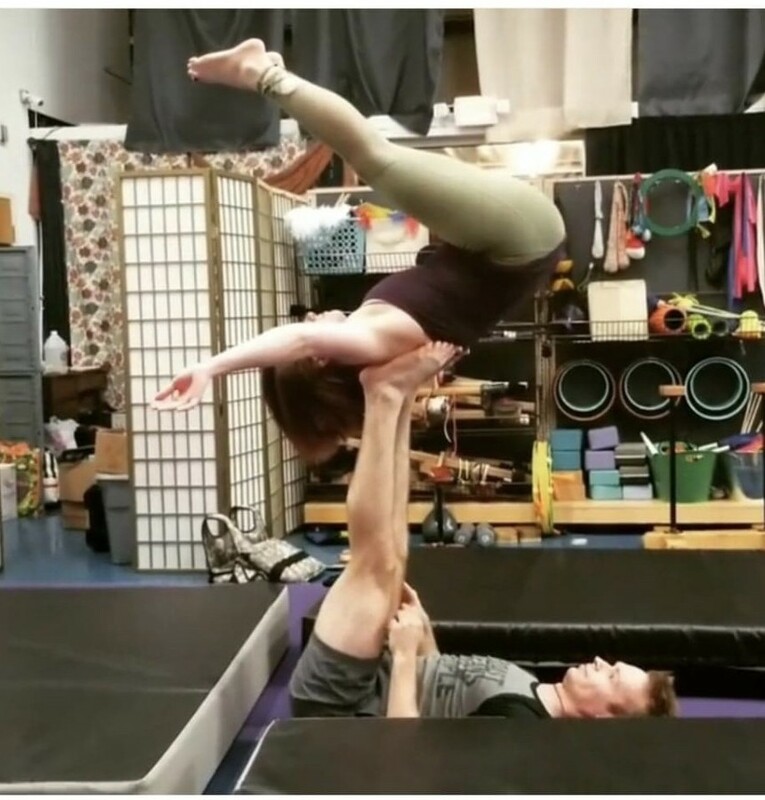 So we hear you are a hand balancer, aerial artist and do partner acro…How did you get into this hobby? What does it entail? I was your typical gymnast/cheerleader in high school. It slipped away from me shortly after like most hobbies do. I felt like a giant portion of me was missing. So I started coaching gymnastics and partaking again a little. I quickly learned that injury was more likely the older you get. So I sought out something different, that could grow with me! Circus skills, while some still dangerous, are totally fun and low impact. It focuses more on flexibility and body weight training. Circus skills, while some still dangerous, are totally fun and low impact. 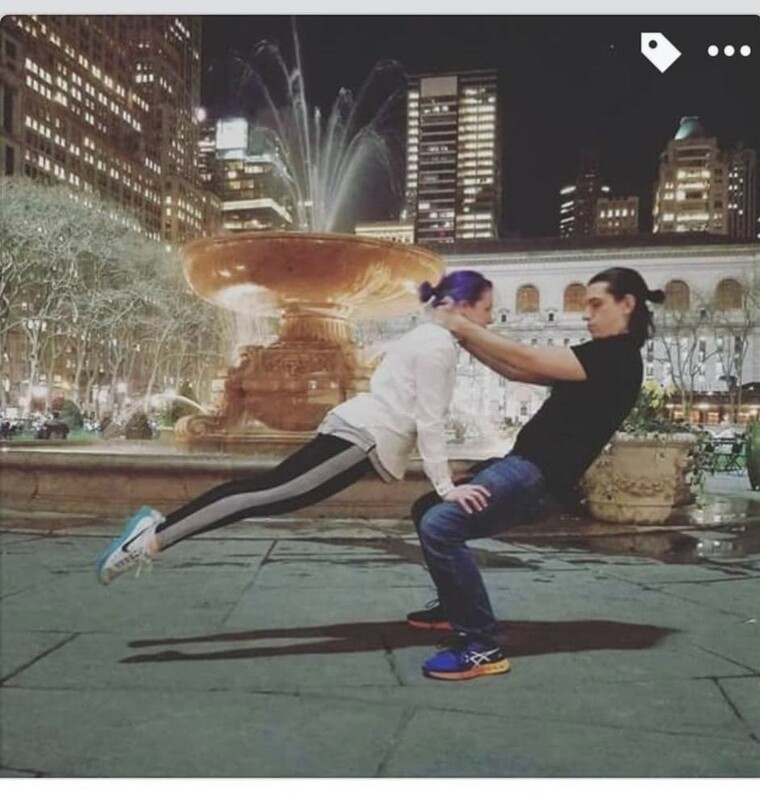 It focuses more on flexibility and body weight training. 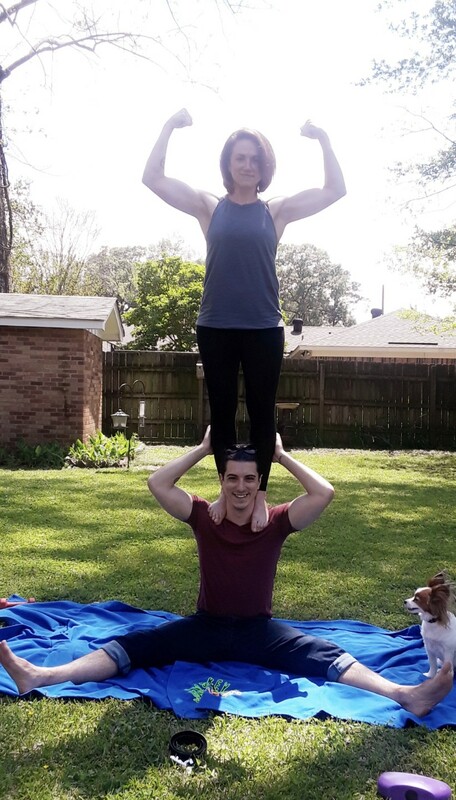 Partner acro is something anyone can start AT ANY AGE. I was assisting coaching a beginner class in Little Rock Arkansas and we had a grandmother and granddaughter that attended regularly!! It was so awesome! What was it like going to a circus school in Vermont? The New England Center for Circus Arts is a phenomenal place. I wasn’t there nearly long enough! They train everyone from beginners to world renown athletes training for Cirque Du Soleil or other professional circus shows. To say I was intimidated would be putting it lightly. Non the less it was thrilling to be around these people and their amazingness for 13 weeks. Is it easy to keep up with your side gig while living the nomad life of a travel nurse? I would have to say no… unfortunately. This current assignment has me about an hour away from any training facility, which is hard to get to as often as I would like. I rely on heavily finding places outside to practice. This is a sport that takes time to build up the endurance for and you lose it little by little the longer you go without staying on top of it. If you do though it is the MOST fun you can have working out! My work mornings usually start with… A coconut water energy drink! Go-to snack while at work: Fruit, or a protein bar. I have to keep something sweet on me so as to avoid any DONUTS!! Favorite thing to do on a day-off: Spend time adventuring. Some days that’s beach exploration, some days it’s finding somewhere I can act like a big kid. For work: Camscanner and Airbnb! Movie or book? Movie… I can’t sit still long enough to read, haha. 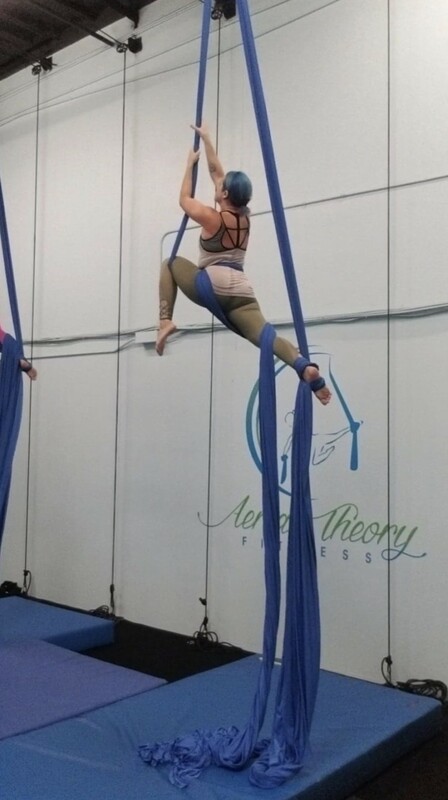 If I wasn’t a nurse, I would probably be… A CIRCUS PERFORMER… or acro yoga instructor. Compression stockings, compression socks, or neither? ALLLL the compression, with Vivo barefoot shoes. Puke, poop, sputum, IV starts in babies, we’ve all got our aversion, what’s yours? Don’t spit on me… Respiratory therapists are the true heroes, haha. Go-to choice of caffeine? Straight tablet form, but I like a good sweet flavored coffee or organic energy drink.